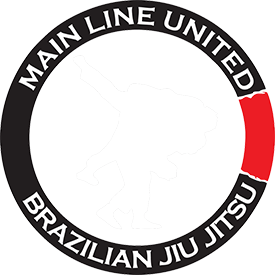 Calendar | Main Line United BJJ | Ardmore, PAWe teach our students self-defense, sports Jiu-Jitsu. Our students build self-confidence and learn to remain calm under pressure. Grappling is a close contact sport, respect your training partners and maintain good hygiene. Wash your gi and training gear after every practice. If you train frequently it’s a good idea to have a couple of gis in a rotation. Shower as soon as possible after every class. Toothpaste, mints or mouthwash are a great addition to your gym bag. Talons are for birds of prey. Keep toenails and fingernails trimmed. For your safety and the safety of others. Shoes, food, and drinks are not allowed on the mat. Always wear shoes or sandals when you are off the mat. We strive to provide a safe and clean training environment. There are always sandals at the side of the mat. Stay off the mat if you are sick. In sparring we don’t win or lose, we learn. Do not celebrate taps. In the academy, you do not have an opponent you have a training partner with a shared goal. Respect your training partner’s goals. Not every round needs to be to the death.